Wednesday 2nd October 2013 , 6:30 pm. What if your software development team's job was to make your business more money? And, what if, by doing so, they started truly enjoying their work once again? Clarke Ching is an expert in the application of Eli Goldratt's Theory of Constraints to Agile software development. He is author of Rocks into Gold and Rolling Rocks Downhill (BETA). 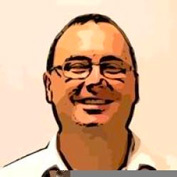 He gained Scrum certification from Ken Schwaber in Scotland in 2004 and now works as a Lean and Agile internal expert Royal London Group. Clarke focuses on Cash-Flow-Driven-Development & the use of positive psychology to help development teams flourish.